The result f is the frequency in Hertz of the tuned circuit (logically called cycles per second back in the day), L is the inductance in Henries, and C is the capacitance in Farads. Farads? Henries? Capacitors in the Farads range are huge, like railroad boxcars, they used to say. Coils in the Henries range are heavy (remember those 5U4GB tubed power supply filter chokes?). Conversely, inductance at mediumwave broadcast frequencies is measured in micro henries (millionths of a Henry, or µH) and capacitance is measured in pico farads (millionths of a millionth of a Farad, years ago noted as µµF). Wow, that's a mouthful. Let's apply this old formula to a commonly-seen tuned circuit, a 240 µH inductor and a 365 pF capacitor wired in parallel. How confusing is this? Now how many zeros am I supposed to add ahead of the 365 pF capacitor? The inductor? I remember trying to work this formula before electronic calculators. Lots of zeros. Remember the time before electronic calculators? Okay, well, maybe you don't. Too many zeros to keep track of, in fact, too many zeros to keep track of even if working with a calculator. Oh, use scientific notation? Times ten to the minus what? Please show me (simply), at what frequency a 240 µH inductor and a 365 pf capacitor resonate? In the formula above, f is the frequency in megahertz, C the capacitance in pico farads, L the inductance in micro henries. 25330 will always be the same in every calculation. 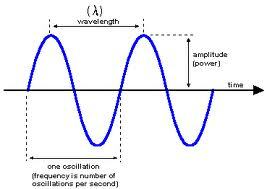 Inductance times capacitance times frequency times frequency will always equal 25330. Magic. Okay, now we're talking simplicity. Using this formula, it's also very easy to change the operands around to calculate any one of the values, when the others are known. Henry Thoreau said, "Simplify, simplify, simplify!". In this formula we have done that. Can we make the original formula of old more workable to find frequency? Yes we can. Using our simple whole units of micro henries and pico farads, we use a multiplier at the end to get our result in KHz or MHz. That's a little easier to manage than the original without all the zeros. Should we rearrange the formula to calculate for inductance or capacitance? Well, we could. But why bother now that we have the simplified formula, L * C * f * f = 25330! Now, why would we be wanting to calculate the resonant frequency of an inductor and capacitor? Let's say you plan to build a passive loop and want it to tune the mediumwave band. You've decided on a two foot square loop of 11 turns. Your loop calculator widget (or LCR inductance tester for those who can afford one) shows this loop to have a certain inductance. Pair that with your trusty old 365 pF broadcast tuning capacitor and using the frequency formula you can calculate the tuning range of the loop. Or roughly so. We will have more on the topic of passive loop frequency calculations in a future article, including a custom loop calculator program. Stay tuned.